Hello to all! 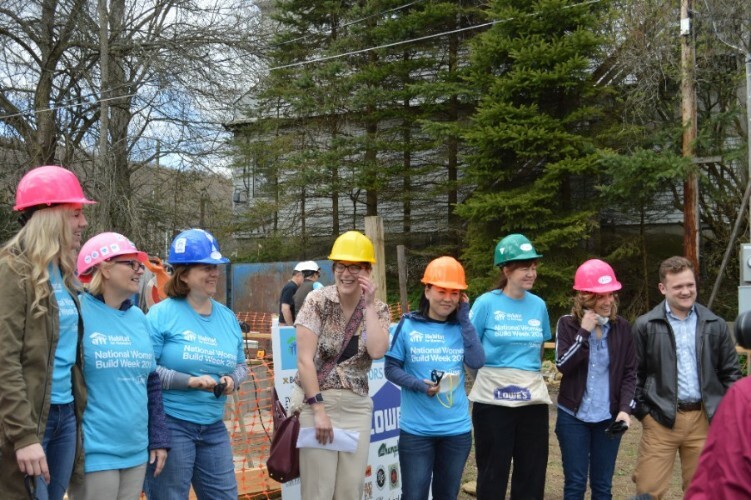 This week marks our first full week of Women Build. This also marks our first augmented week of volunteer days on the build site. This newsletter will notify general volunteers of when our build site is open and when we will be hosting private Women Build groups. As a note to core volunteers/day leaders/task leaders, you will be contacted directly regarding your involvement during Women Build. The build site will be open to all volunteers on Friday (5/11/18) from 8am-noon. We will not be open to all volunteers on Saturday as we will be hosting a private Women Build team. Please contact Katiana if you would like to volunteer on Friday (413-442-3181, kselens@berkshirehabitat.org). This week we will be hosting three Women Build groups. We are excited to have Guardian Life Insurance, Greylock Federal Credit Union, and Miss Hall's School on site with us this week. 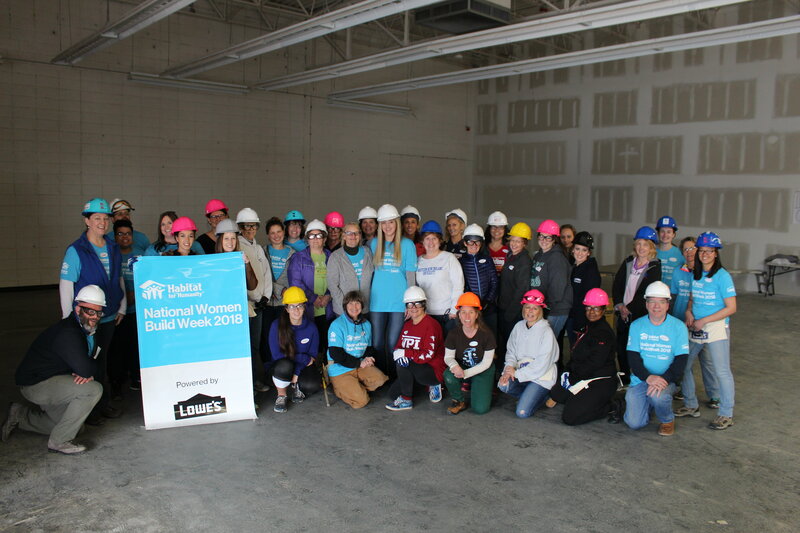 Below, you can see the excellent turn out we had for our annual Women Build Kickoff training and the group we hosted from Women in Government for our media day and first official day of Women Build this last weekend. This first full week of builders has proved once again just how much can be built within a week and we are excited to have you following all this growth along with us! "Last Friday, our amazing volunteers squared-up and leveled out the mud sill and prepared the site for the women build kick-off. Saturday's volunteers, including the Women in Government group, moved materials, prepared the beam (girder) in the basement as well as the supporting post. The Dalton project is moving along thanks to many hours of volunteer effort". According to the 2010 National Gardening Association Survey, Americans spend on average $363 per year on their lawn and gardening activities. In the United States, that is equal to approximately $30 million dollars per year.